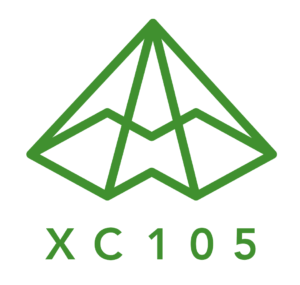 XC105 is the name for the combined 105km of trails managed by Sovereign Lake Nordic Club and SilverStar Mountain Resort. Featuring an abundance of dry, natural snow, this is the largest daily-set nordic system in North America. The season runs from November to April, with the annual Spring Fling camp in May. The last weekend of each month is designated as an XC105 Weekend where each area offers free ski upgrades to the other area. Sovereign Lake is the largest Nordic Ski club in Canada (2018/2019) with over 2000 members. A perennial host of NorAm and SuperTour events, the club will once again host the top North American skiers as they battle for the chance to represent Canada and the USA at the PyeongChang Olympics in February. Sovereign Lake hosted the World Cup in 2005 and the World Masters in 2011; the homologated (internationally approved) courses are used in races every season. While SilverStar Mountain Resort is best known for its alpine skiing, it hosted a nordic World Cup in 1991 and was the perennial early-season home of the National Team until the Canmore Olympics in 1998. The alpine resort is open for US Thanksgiving roughly ever other season. SilverStar offers ski in/ski out accommodation, with set tracks to houses open by November 20th more often than not. If you have family members who are not nordic obsessed, SilverStar offers ice skating, indoor climbing, snowshoeing, fat biking, restaurants, bars, and the best chocolate croissants in the region.